The ability to predict how mutations affect protein structure, folding, and flexibility can elucidate the molecular mechanisms leading to disruption of supersecondary structures, the emergence of phenotypes, as well guiding rational protein engineering. 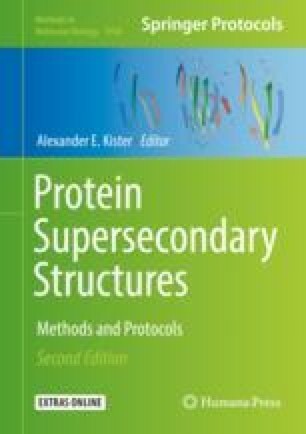 The advent of fast and accurate computational tools has enabled us to comprehensively explore the landscape of mutation effects on protein structures, prioritizing mutations for rational experimental validation. Here we describe the use of two complementary web-based in silico methods, DUET and DynaMut, developed to infer the effects of mutations on folding, stability, and flexibility and how they can be used to explore and interpret these effects on protein supersecondary structures. This work was supported by the Australian Government Research Training Program Scholarship [to Y.M., M.K., C.H.M.R. and S.P. ]; the Jack Brockhoff Foundation [JBF 4186, 2016 to D.B.A. ]; a Newton Fund RCUK-CONFAP Grant awarded by The Medical Research Council (MRC) and Fundação de Amparo à Pesquisa do Estado de Minas Gerais (FAPEMIG) [MR/M026302/1 to D.B.A. and D.E.V.P. ]; the National Health and Medical Research Council of Australia [APP1072476 to D.B.A. ]; the Victorian Life Sciences Computation Initiative (VLSCI), an initiative of the Victorian Government, Australia, on its Facility hosted at the University of Melbourne [UOM0017]; the Instituto René Rachou (IRR/FIOCRUZ Minas), Brazil, and Conselho Nacional de Desenvolvimento Científico e Tecnológico (CNPq) [to D.E.V.P. ]; and the Department of Biochemistry and Molecular Biology, University of Melbourne [to D.B.A. ].